Anne Meree served as a civil servant deploying around the world in direct strategic and operational support to the interagency. In 2010, after having her second child, she left the government and founded Maxemi LLC, a consulting business aimed at relationship navigation, strategy development, and research. She has worked as the Chief Administrative Officer at McChrystal Group and as the Director of Strategic Initiatives at Berico Technologies. Her clients included Deloitte and General Dynamics. Anne Meree feels blessed to have not just served at the tip of spear but to also have married into it. She believes it provides her a unique understanding for the work she currently does at COMMIT. Anne Meree is gifted at connecting dots in creating serendipity for our Veterans and works to grow the enduring relationships necessary to enable real success. Anne Meree sits on the National Board of Directors for Bunker Labs and the Board of Advisors for Promote Leadership. She holds a M.A. from Middlebury College and a B.A. from Wofford College. Anne Meree hails from the deep south but now calls Bozeman, Montana home. She and her husband continue their own transition, growing their family, and raising their three awesome kids. Michele Olive is pleased to join the COMMIT Foundation staff, bringing with her expertise in clinical counseling and a wealth of experience in both the military and civilian sectors. She has assisted military service members and their families as a board certified Licensed Clinical Social Worker via the DoD and Naval Special Warfare for over 10 years. Michele brings her background in assessment and her knowledge of high performing teams to help others achieve their goals. Her experience providing leadership development consulting in the private sector also compliments her role as the Director of Veteran Services. She shares COMMIT’s passion to connect transitioning veterans with opportunities that match their caliber of talent and vision. Michele and her husband Joel enjoy the sunshine and lots of baseball in Virginia Beach with their three sons and two Labs. Alex Empson joins the COMMIT Foundation through her passion to support a high-impact team in assisting veterans with their military transition. Alex has a Bachelor of Science in Psychology and minor in Criminology from McMurry University and a Masters in Social Work from the University of Southern California where she concentrated on Mental Health with a sub concentration in Military Culture. Alex has 4 years of experience working with veterans in an inpatient setting and with assisting veterans transition from homelessness. Alex is located in Texas. Charlie Bailey joined The COMMIT Foundation in April of 2018 to continue his post-military support to transitioning service members and Veterans. Medically retired due to complications associated with injuries sustained in combat, Charlie brings more than 16 years of active service in the U.S. Army. Following his time in uniform, he spent 15 months helping develop a program that provides support to transitioning service members with another national non-profit. Charlie feels blessed to help COMMIT in its efforts to deliver transformational programs to our nation’s Veterans and the private sector. He holds a B.A. in History from Keene State College (NH), a Masters in International Relations from Oklahoma University, and a Masters in Social-Organizational Psychology from Columbia University. Charlie and his wife enjoy the adventurous outdoor lifestyle the Pacific Northwest provides for their six children. 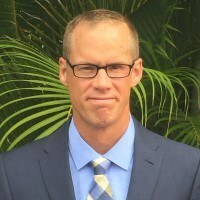 Scott served in the United States Navy and brings a wealth of expertise in program management and development, executive coaching, and team building to the COMMIT Foundation as the Director of Programs. Scott retired from the Navy after 20 years having commanded Helicopter Sea Combat Weapons School Atlantic and flown both the MH-60S and CH-46D during his service. His career included a wide variety of operational and staff assignments, highlighted by a tour at NATO School Oberammergau nestled in the Bavarian Alps. That experience identified a connection to an adventurous, active lifestyle inspiring Scott, his wife and two sons to relocate to Bozeman, MT for post-Navy life. He is proud to continue his service contributing to the purposeful and powerful transition offered through The COMMIT Foundation. Scott is a 1998 graduate of the United States Naval Academy where he earned a BS in History, and later received an MA in National Security Affairs from the Naval Postgraduate School. Maggie brings a passion for patriotism and commitment to service to the COMMIT Foundation. Maggie was serving in the US Senate during the terror attacks of September 11th and her career path was forever changed. In 2003, upon formation of the Department of Homeland Security, Maggie was asked to serve as one of the original employees at DHS within the Office of Legislative Affairs. From there, she moved to The White House as the Director of Aviation Security Policy on the Homeland Security Council. Maggie left D.C. for the private sector as a federal strategist for a publicly traded company headquartered in Kansas City, MO. Maggie later served as Development Director for the Robert J. Dole Institute of Politics at the University of Kansas Endowment Association. In her time with the Dole Institute, she worked with former Senator Bob Dole and the Director of the Institute to execute major-gift fundraising. Maggie holds a Master of Arts in National Security and Strategic Studies from the United States Naval War College and a Bachelor of Arts in Political Science and Communication Studies from the University of Kansas. Maggie lives in Kansas City with her husband Tom and their three children. Matt Hayden joins The COMMIT Foundation as a result of his own journey through military transition and desire to support a high-impact team that serves the Veteran community. Matt has over 13 years of active service to the U.S. Army with multiple tours to both Iraq and Afghanistan as an AH-64D Apache Longbow attack helicopter pilot. He continues to serve with the Army Reserve as an Adjunct Professor of Military Science at The Ohio State University. Matt holds a Bachelor of Science in Aerospace Engineering from Embry-Riddle Aeronautical University and a Master of Science in Industrial Engineering from NMSU. Matt and his wife Lauren live in Ohio where they raise four wonderful children with extraordinary personalities. Brian “Preacher” Rauch joins the COMMIT Foundation team to continue his undertaking to get Veterans on a new personal mission during their transition. He served from 2009 through 2015 as a Chaplain in the United States Air Force Reserves, being medically separated from service after injuries while supporting missions for GWOT. His civilian career involved working software development for Palm Inc, HP Global, Check-6 Inc, and PFL. During the 2012 national elections, Preacher ran IT and Data Analytics for a US Congressman’s bid for the US Senate. More recently, he is the leading member of Salesforce’s Vetforce program in Montana were he actively trains and helps Veterans learn the Salesforce platform. Preacher attended University of Montana for his undergrad in Information Systems, and Liberty University for a double Master’s in Military Chaplaincy and Theology. He has a wife and two daughters. Ashley Bickerstaff joins the COMMIT Foundation after numerous years of experience as an elementary school educator and head of school. She is the daughter and granddaughter of Army Veterans and is thrilled to be a part of the Veteran community. 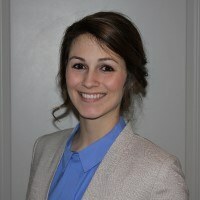 Ashley holds a Bachelor of Science in Child and Family Development with a minor in Psychology from The University of Georgia. She has extensive training in Montessori education from the American Montessori Society. Ashley and her husband live in Bozeman, Montana raising two young children, where she enjoys hiking, camping, and skiing in her free time. Most importantly, she enjoys spending time with her family.